Not a beauty expert, but I love a good face cream. The title speaks for itself. I’ve always been a pretty low-maintenance kind of gal when it comes to skin care and makeup. SPF has always been my best friend and so has a round up of moisturizers due to my Rosacea (which has gotten better throughout the years). 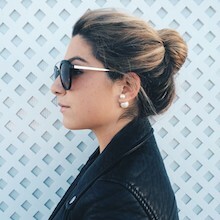 I wear little to no makeup on the daily, except for maybe tinted moisturizer with SPF + mascara. I let my freckles do the power work for me…..and….I love a good monthly facial. That’s about it for my skin care regimen, but here are the products that I’ve been sticking to the last couple of months and *loving*. Estee Lauder Revitalizing Supreme (Day) & Nightwear Plus (Night, Obviously) – My daily go-tos. Clinique Moisture Surge (Daytime) – I use this when my skin is feeling a little dry or blah when I wake up in the morning. I also love to use this after a day in the sun. Valjean Labs GLOW Serum – I’ve been using this serum a lot this summer right after washing my face + before applying moisturizer for a little pep in my glow. Murad AHA/BHA Cleanser – I’m almost out of this stuff, definitely need to restock. It’s an exfoliating cleanser that my facialist recommended and it really feels great on my skin, not intense. 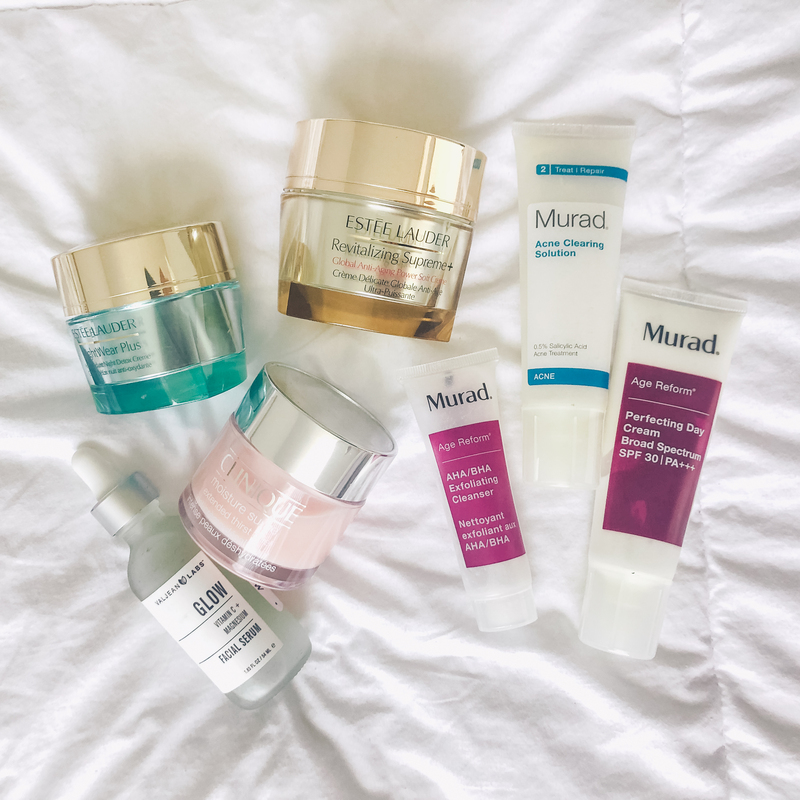 Murad Acne Clearing Solution – for those rough days of mini breakouts, thanks hormones! This helps relieve the blemishes and I usually see results within 1-3 days. This stuff is awesome. Murad Perfecting Day Cream – I don’t leave home without it. I actually pack it up in my bag to make sure I always have my dose of SPF with me.